The world does not exist as simply as it appears, and for as long as there has been the opportunity for creative expression, artists have attempted to find ever more insightful and original ways to express their perception of the world. Donna McKellar, an artist in the most genuine terms, has made it her life’s work to portray the world not simply as she sees it, but as she feels it. Donna has previously described her artistic style as Romantic Realism, but a significant change in her life has pushed her to explore a more postmodern understanding of living, an understanding which emphasises the fragmented, and often distorted, nature of reality. In this line of thought, where there are different dimensions of truth and multiple layers of identity, traditional views on perception, understanding and knowledge are subverted. Donna Mckellar’s post modern work attempts to upset the idyllic images of reality that are depicted in her romantic realism expressions, and to draw attention to the complexity and paradoxical nature of existence. The new shift of thought has become strikingly evident in her stylistic technique: peaceful, painless and serene landscapes with perfect lighting have now evolved into fragmented, unsettling landscapes that evoke emotional unrest. Her realistic signature style is still evident in her work, but another dimension of meaning has been added, almost as if it has been superimposed onto sections of the work, which has resulted in a deep, and sometimes dark, but also playful expression of emotion. Adding these dimensions to her work has shed a new light – literally – onto the subject matter that Donna chooses for her art. Her paintings are, in essence, an adventure and an expression of her life experience, and Donna appreciates that her life, along with her understanding of it, is something that is constantly evolving – a subject that refuses to sit still for a portrait! Donna has become well known in South Africa for these often large-scale paintings, both highly technical and emotive in nature, and her dedication to this subject matter has afforded her the esteem of being known as one of South Africa’s premier landscape artists. She is able to comfortably work on paintings measuring as large as 4m, or as small as 5cm. Her work has been sought out and purchased by collectors from around the world, and included in her extensive client list are a number of household names, such as Ernie Els (through his signature restaurant The Big Easy in Stellenbosch) and Lance Armstrong. She currently has work seated in the USA, Germany, Switzerland, Singapore, Hong Kong and Australia, and various other locations around the globe. Her work has been featured on South African television and appeared in numerous magazine articles. 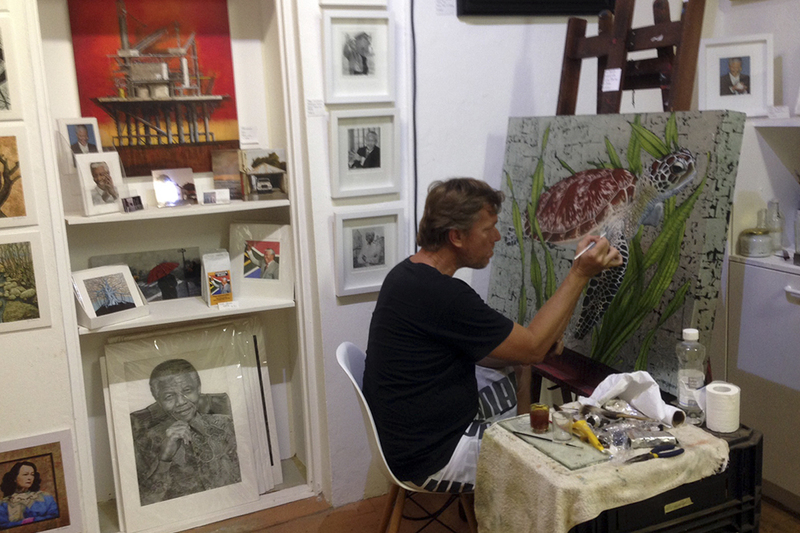 Donna’s work can be primarily found at MANZART in Franschhoek and at The Studio Gallery, Imhoff Farm, Kommetjie. Her work has previously has been exhibited in the following galleries: The Stephanie Hoppen Gallery Kensington, London; The Red Sea Gallery in Singapore; The Everaad Read Gallery; Hout Bay Gallery; Carmel Art Gallery; Henry Taylor Gallery; Lilies Leaf Gallery; Clock Tower Gallery; RED! 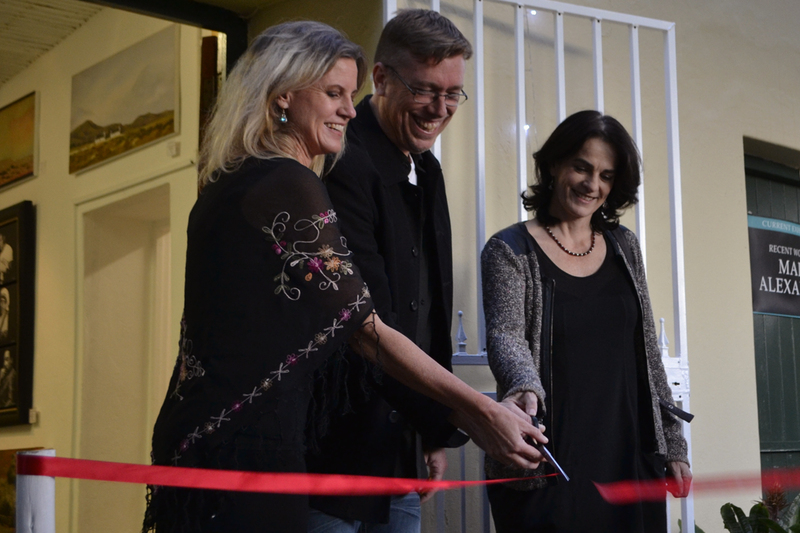 The Gallery; The Gallery Grande Provence, The Studio Kalk Bay, The Gallery Riebeek Kasteel, Walker Bay Gallery, Johan Coetzee Gallery, Dorp Street Gallery, Lindy Van Niekerk Gallery and the Holden Manz Collection.